Outside the fox’s burrow, the fox girl is sitting. 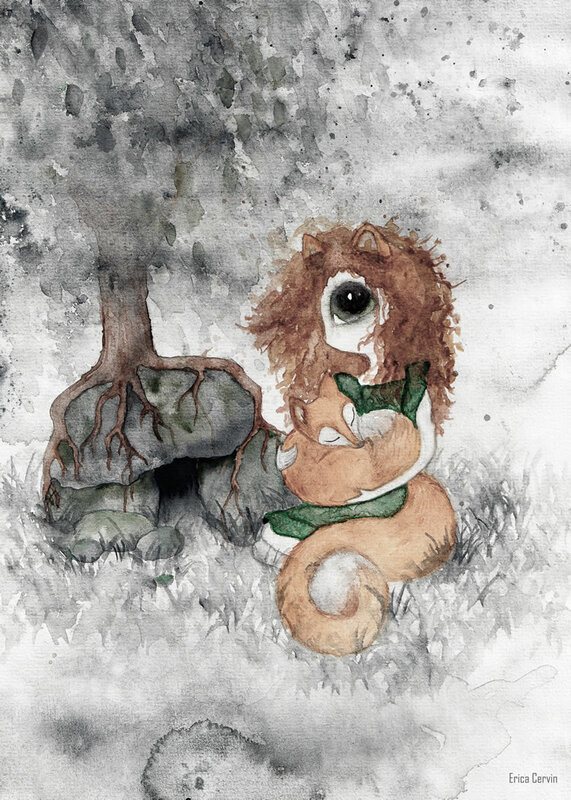 She is secretive and expressive as a woodland creature, watching over her little friends who live among the trees. Very nice poster with a fox in the girl’s arms based on Erica Cervin’s adorable original water colour. The motif is strong and pretty at the same time. A children’s print that triggers the imagination and invites you to exciting stories. Feels nice both framed and unframed on the wall.